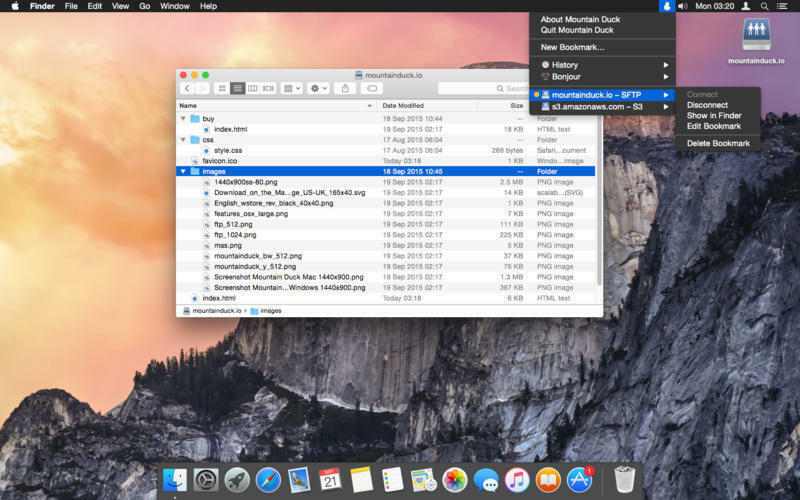 Mountain Duck, based on the solid open-source foundation of Cyberduck, allows you to mount remote volumes in Finder on macOS and File Explorer on Windows. Access remote files as if they were on a local disk, and edit them with your preferred applications. 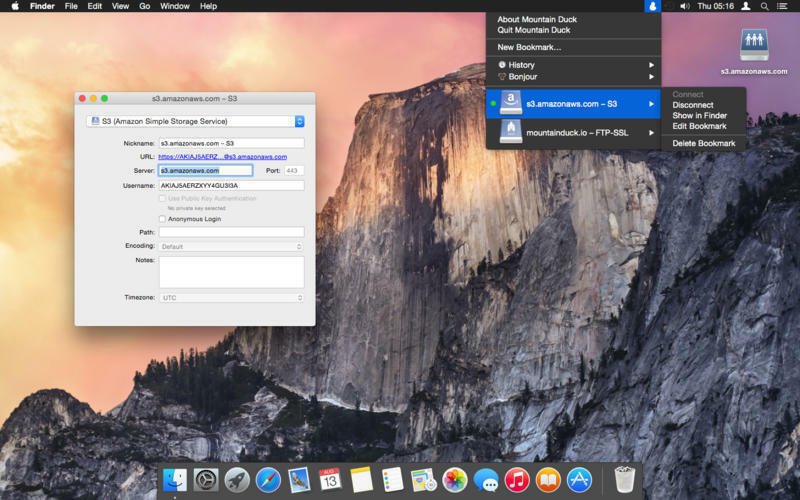 A minimalist user interface in the menu bar allows you to quickly mount remote volumes. Bookmarks are shared with Cyberduck if installed. Unlike other solutions, installation on macOS requires no administrator privileges and zero system extensions.